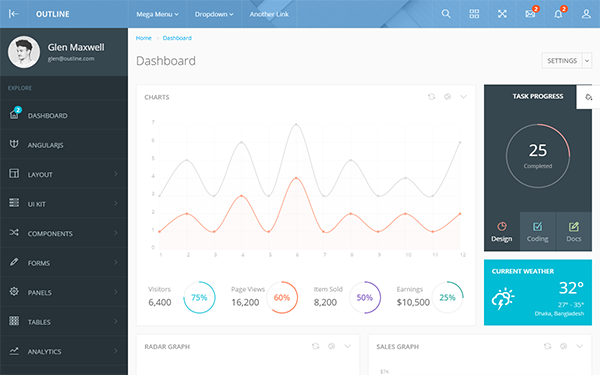 Velonic is a fully featured premium admin template built on top of awesome Bootstrap 3.3.5, modern web technology HTML5, CSS3 and jQuery. It has many ready to use hand crafted components. 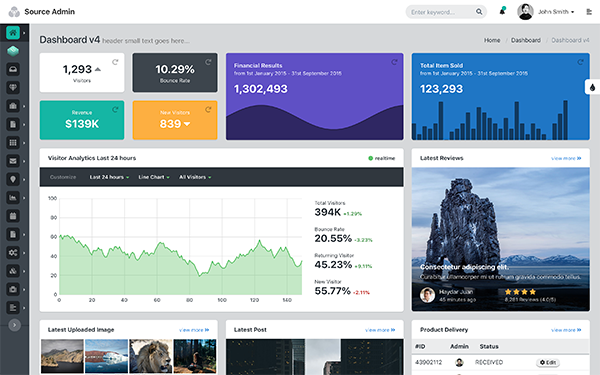 The theme is fully responsive, easy to customize, and the code is super easy to understand and gives power to any developer to turn this theme into real web application. 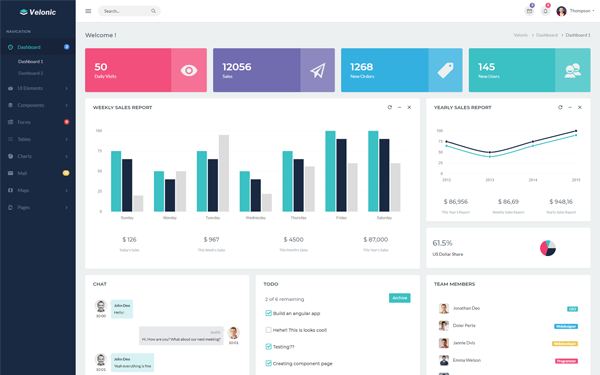 Sumea Bootstrap admin dashboard template built from scratch based on the latest Bootstrap framework ideal for building applications, charts, CRM, CMS with lots of colors. 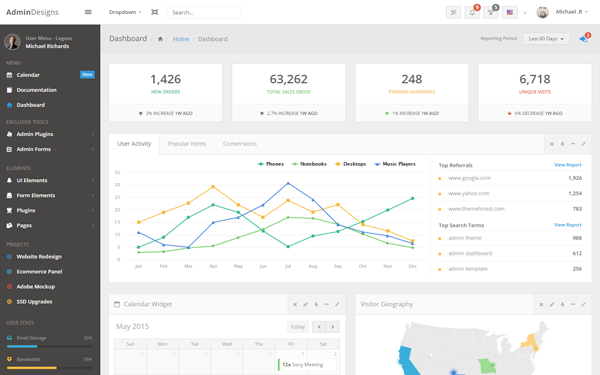 Outline is built ground up to be the most developer friendly theme in the marketplace. With multiple color schemes and layouts, Outline is clean, nimble and flexible. This flexibility comes with easy to use and clean code that can be picked up by anyone with minimal experience in Bootstrap, as we build upon the code base used by millions. From the get-go, we provide two separate versions of the theme. The standalone HTML version, and AngularJS version with Bower and Grunt to make development and deployment a breeze. 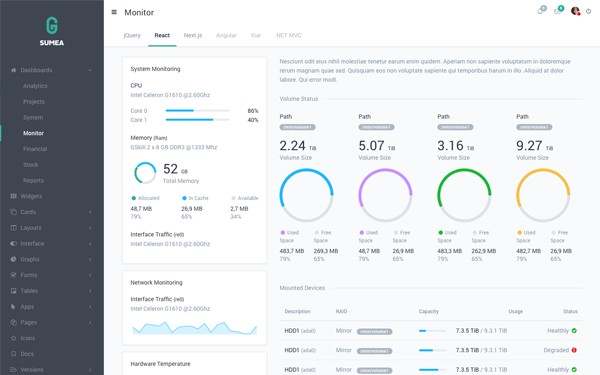 It already includes custom tools unique to the AbsoluteAdmin Framework, as well as countless handpicked and optimized plugins. Including the exclusive AbsoluteAdmin plugin. Allowing you to instantly change a widgets, color, title, position and more! All settings are saved and persist after page refresh via local storage.